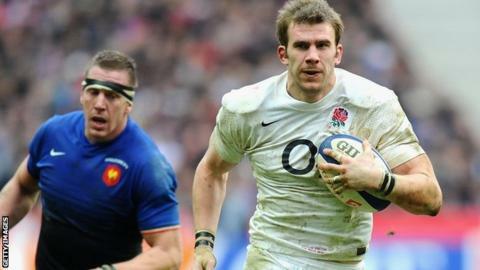 Leicester director of rugby Richard Cockerill hopes flanker Tom Croft will return from injury within a month. Croft missed England's summer tour to South Africa and the opening six weeks of the Premiership season with a neck injury he suffered in late April. Cockerill told BBC Radio Leicester: "He has had some repeat scans to see how the healing of the vertebrae is going. "If that comes back positive then he can start to ramp that up and in three or four weeks he could be playing." If given the all clear by medics, the forward could be back in club action for the game against Gloucester on 27 October - although the autumn internationals, which start against Fiji on 10 November, are likely to come too soon for him to feature. Croft was an integral part of the Tigers side that challenged for the Premiership title last season and a key member of England's Six Nations squad.